A strong partnership between church and business, leveraging off their core expertise and relationships, to contain the spread and adverse consequences of HIV in the workplace and in associated communities. The Trustees are concerned about the extent of HIV infection and general health and well-being in South Africa. Caring about workers, their families and dependants the Trust focusses on the areas of businesses and communities. CHABAHIVA Trust supports best practice programmes, cooperates with organisations rooted in communities to implement HIV projects and initiates HIV projects through competent service providers. Convinced that much more can be achieved through bringing together the strengths of Churches and Businesses against HIV and AIDS the Trust aims to partner with businesses through cooperation and matching funding. CHABAHIVA Trust provides a sustainable structure as conduit of funds to support effective programmes. The Trust monitors and guides interventions to be in line with recent developments in the field of HIV and AIDS, as well as with policies of the National Department of Health. 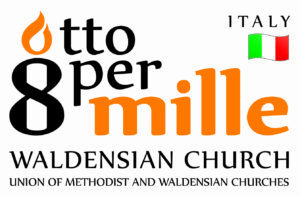 The Union of Methodist and Waldensian Churches (Otto per Mille) has been supporting the Church and Business against HIV and AIDS (CHABAHIVA) programmes in South Africa and Namibia since 2005. Initially the support for CHABAHIVA in South Africa was channelled through the CHABAHIVA German Steering Committee and the Evangelical Church of Westphalia. Since 2014 funds for South African programmes are being channelled through the CHABAHIVA Trust. CHABAHIVA Trust developed an HIV Youth Peer Educator programme in cooperation with the Field Band Foundation to strengthen their life skills programme. The CHABAHIVA Trust also supports the Field Band Foundation to facilitate the establishment of a relevant and appropriate Workplace Wellness Programme. Through CABSA as service provider, CHABAHIVA Trust developed an HIV programme for farms. CHABAHIVA Trust contracted CABSA to initiate a project to increase and strengthen HIV competence amongst churches and businesses in Mamelodi (Pretoria). The HIV Peer Educators Training of 5 days was completed on Friday. 3 Facilitators and 24 members and leaders of 3 Field Bands used the week to learn about HIV and AIDS and what it means to be a Peer Educator. Reported highlights included: “I gained more knowledge to teach, motivate and inspire others”; “The tools and the HIV book were the best and very informative”; “I enjoyed learning about HIV and AIDS and on how to treat people living with HIV and show love and support”. The new Peer Educators also expressed their motivation and eagerness to return to their home bands and share what they’ve learnt. Well done, Wanda, Vuvu and Shaun!